U.S. District Judge Timothy Kelly issued a temporary restraining order Friday forcing the White House to reinstate CNN correspondent Jim Acosta’s press credentials. 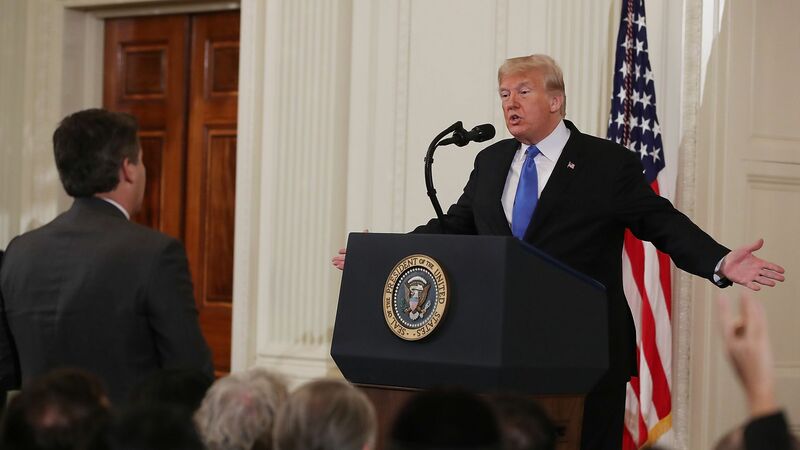 The big picture: Judge Kelly said it is likely that Acosta’s first and fifth amendment rights were violated when the White House suspended his press pass, saying he believes CNN and Acosta are likely to prevail in the case. Judge Kelly: "Whatever process occurred within the government is still so shrouded in mystery that the government could not tell me at oral argument who made the initial decision to revoke Mr. Acosta's press pass," according to Washington Post reporter Erik Wemple. President Trump: "People have to behave. We're writing up rules and regulations ... you have to practice decorum ... we want total freedom of the press, that's very important to me. But you have to act with respect, you're at the White House." Editor's note: This story has been updated to reflect new statements from the White House and President Trump.